All SUN VALLEY VILLAS 2 AMD L homes currently listed for sale in Mesa as of 04/23/2019 are shown below. You can change the search criteria at any time by pressing the 'Change Search' button below. 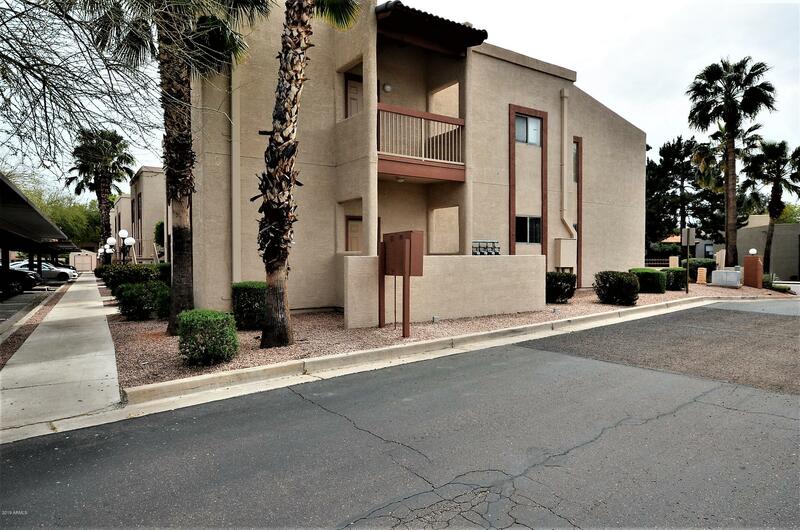 "Remarkable opportunity to own this 1 bedroom 1 bath, totally remodeled unit in Sun Valley Villas. Your brand new kitchen with Quartz counters awaits your entry. This recently renovated unit will appeal to the most discriminating buyer and is sure to please! Leave your vacuum because this unit is completely tiled with wood plank looking flooring!Enjoy the Summers next to the Community pool and spa. Hurry on this one!"